If a mom congress got together to draft its own version of the constitution, the first line might be this: if you don’t have anything nice to say, don’t say anything at all. And there’d certainly be a clause requiring children to be on their best behavior at all times, even when they find themselves Home Alone! 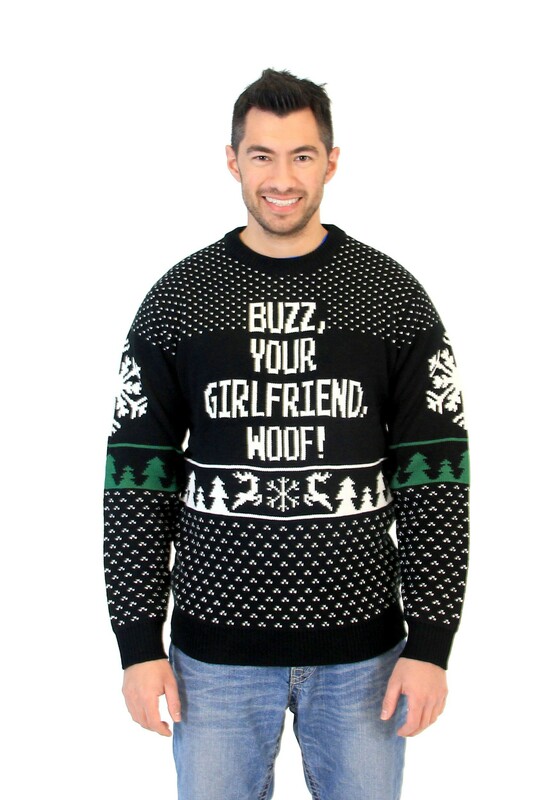 So if you want to raise a fuss at your next family get-together, this sweater is just the ticket. Because the only thing that will get you in more trouble than going through your brother’s belongings is making a rude comment like this about the nice young lady who happens to think fondly of him—even if it’s an instant classic! And while we feel that its black and white and green look surprisingly good together, this shirt’s snarky sense of humor might make you a dark horse in the Ugliest Sweater contest!